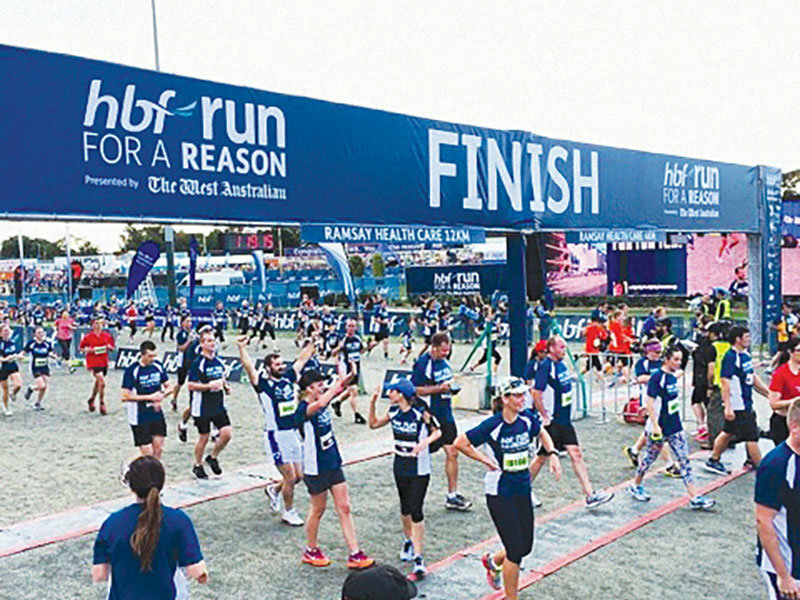 Discus is proud to work with Print Logic on what has grown to be one of Perth’s largest events — HBF Run for a Reason. 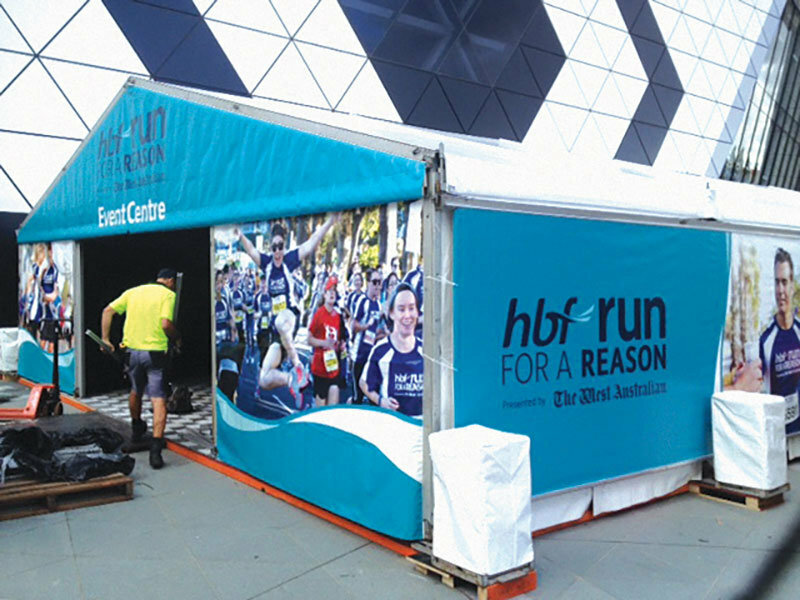 With around 36,000 people participating each year, signage plays an important role in pre-event promotion and ensuring everything runs smoothly on the day. Each year we provide over 300 signs of varying products and purposes. It is a huge logistical undertaking and we work with the relevant teams to ensure that all signs are registered, stored, dispatched and installed according to event protocols. 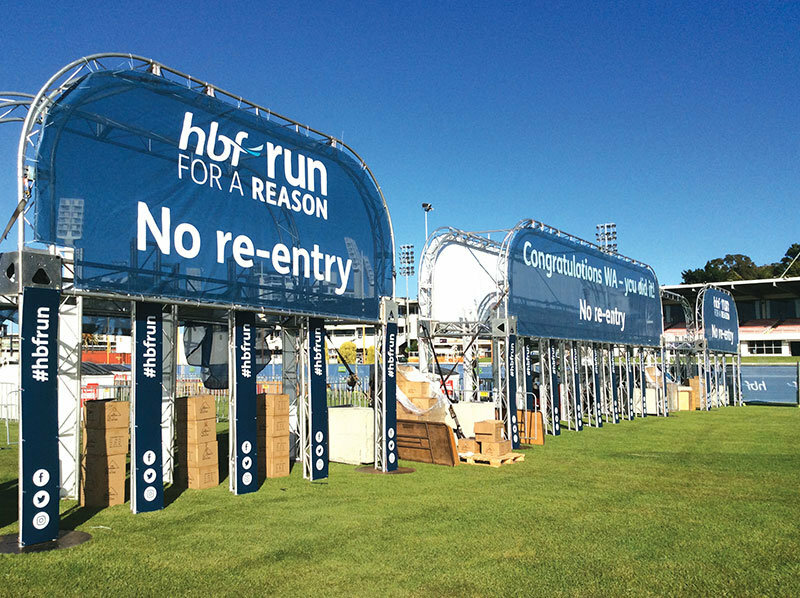 Our install team work within allocated event access hours to ensure signage is erected on-time and to a high standard. The suite of signage plays an important role in creating the fun and seamless experience for event participants. Our cohesive approach to the provision of event signage contributes to the success of this massive event, which raises funds for important charities.